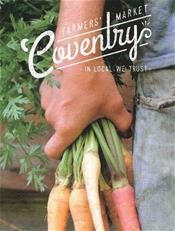 Come hang out with us every Sunday from June 3 – October 28 at the 15th season of the Coventry Farmers’ Market. Hosted on the grounds of Hale Homestead, the market carries on the tradition of being one of the largest farmers’ markets in Connecticut, featuring some of the best of Connecticut-grown, Connecticut-made products around at one of the most unspoiled countryside settings in the state. August 19 program: Youth Market.